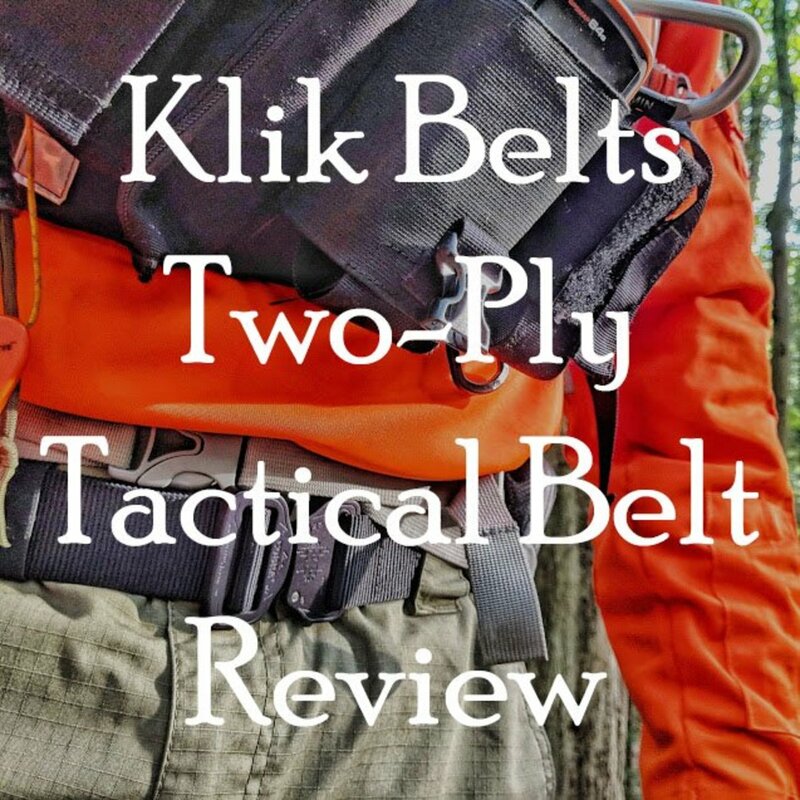 Review of the Klik Belts two ply tactical belt. 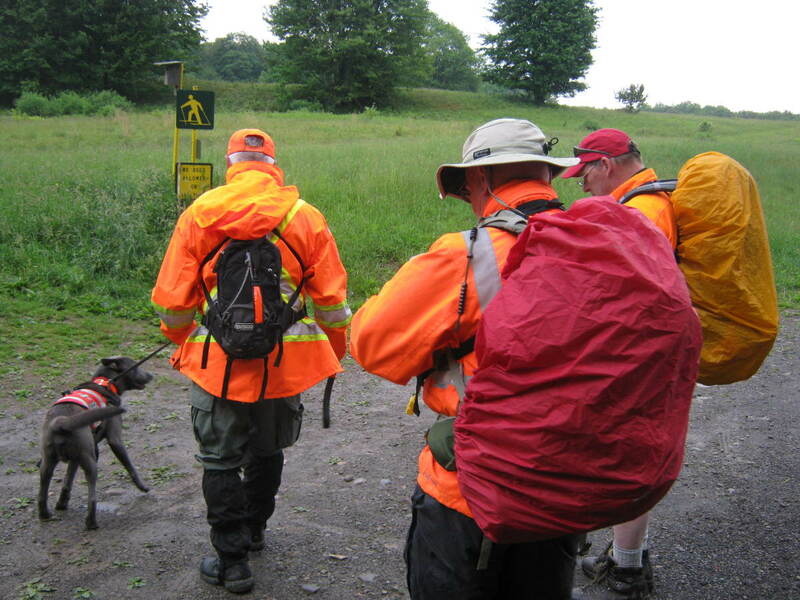 When you are out on a search, your concentration is focused upon minuscule clues and faint sounds - it shouldn’t be on holding your pants up. This is why I’ve been loving Klik Belt’s 2- Ply tactical belt featuring the world’s strongest cobra buckle as it gives me one less thing to worry about in the field. 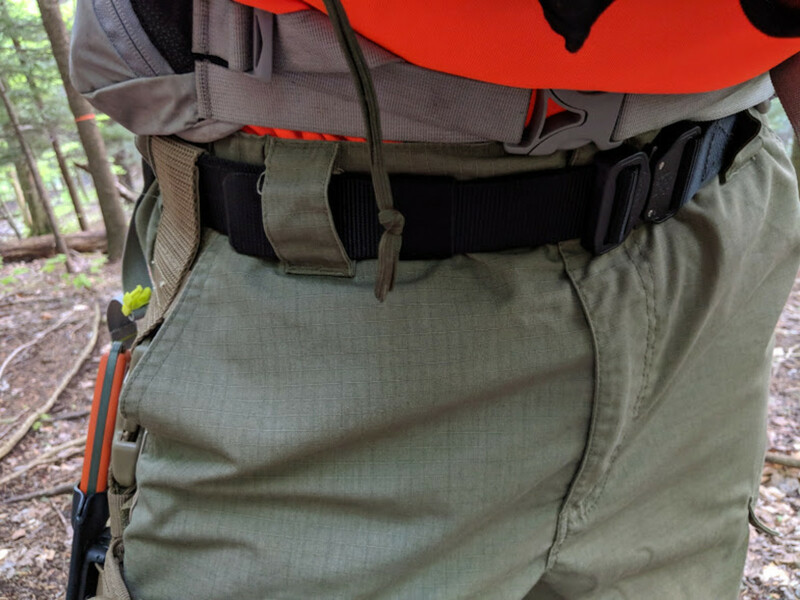 From the heavy Search and Rescue load hanging off my belt to wearing it on everyday hikes with the kids, it has become my favorite belt. When you hear the euphonious click of the cobra buckle fusing together, it's a call to action and assurance of an unshakable gear sash. I was fortunate enough to have Klik Belts provide me with one of their belts for an unbiased review. Over the past few months it has been my daily trouser-holding companion and though I didn't tow a jeep with it, it did its share of tough jobs. 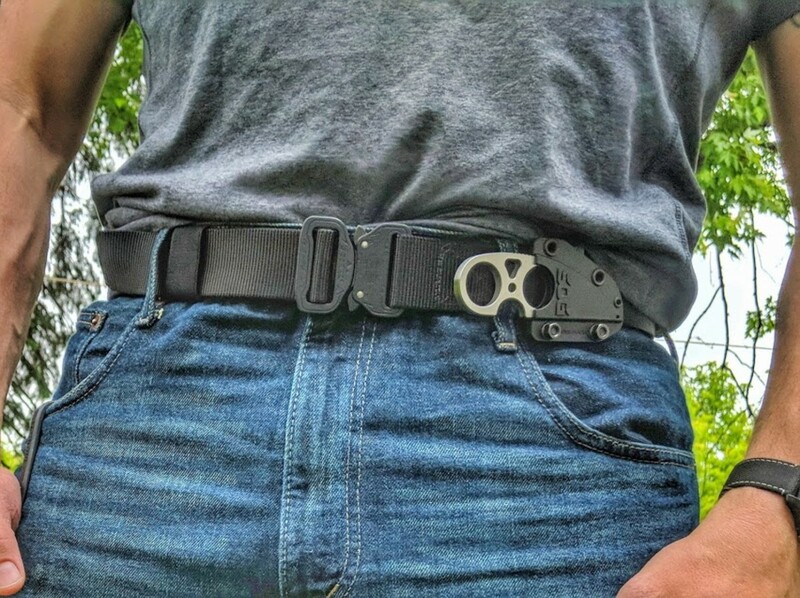 Klik Belts tactical with jeans. When you order the 1.5” 2-Ply tactical belt, you choose from a drop down menu of waist sizes. Now if you are like me and fluctuate an inch (or so) over the year don’t worry as there seems to be wiggle room within the belt. I ordered and wear a 36-inch belt; however, I lent this belt to a friend that was a 39-inch waist. Though the tail was shorter, it still appeared to fit. My recommendation though, is to order the size that corresponds with your current waist size. With the few inches of flex, you have plenty of room to get your money’s worth at the all-you-can-eat buffet and still tuck a thick flannel shirt in. Klik Belts in black with matte buckle. Despite the grime, it never acquired a smell that would send search dogs the other way. The belt is made with a variety of options both in belt color and in buckle finish. The belt I tested is double dark with black nylon webbing and a matte finish buckle. It is my Johnny Cash belt and black goes with everything, especially search and rescue orange. If black isn't your aesthetic or your agency demands a different color, Klik Belts offers ten variations to this model. Belt colors include black, coyote brown, navy, green and gray. Buckle options include matte black, polished aluminum, a dark bronze and slate. I'm sure that if they don't have a color you like you could always cover the belt with your choice of duct tape. What is a Cobra Buckle? When I first heard about cobra buckles a few years back, it hearkened to childhood GI Joe memories and the red-headed serpent on Cobra Commander’s buckle. It isn’t some cosplay accessory or a high-fashion faux rattler skin belt but a pretty ingenious way to merge the end of the belt. When the two halves of the belt meet it forms one of the toughest binds I've seen in the outdoor market. Best of all, is that call to adventure, the audible click that is as recognizably pleasing to the ear as the chambering of a shotgun shell. Now, how tough is this type of buckle? Check out the videos of one gear tester hoisting his jeep with it. The one thing I've found over the years of wearing belts for duty and outdoor recreation, is that the belts slowly slip through the buckle, unraveling and leaving you with drooping drawers. The Klik Belt with its cobra buckle is the only belt I've tried (except rigger's belts with excessive velcro) that hasn't slipped a millimeter. How Tough are Klik Belts? Klik belt manufactures two variations of this belt a one ply and a two ply. The two ply which I own has a doubled up portion of thick nylon around the majority of the belt. These portions are stiff and were designed to be used as gun belts for law enforcement. However, the front of the belt around the buckle is singled so you have the flexibility where you need it. The single ply version of the belt has the same buckle design but is a single layer all the way around. Klik offers this version for all around outdoor, work and casual use. As I like the double ply so much, I may purchase one of the singles as another wear option. As far as nylon goes, they triple stitch the webbing and I haven’t seen any wear patterns from it yet. I switched from leather to nylon years ago as it lasts longer, doesn’t stretch and doesn’t get slimy or stinky. There is nothing worse than a belt that smells like you tied a possum carcass around your waist. Using the two-ply tactical as a search and rescue belt. My belt has to hold, I can’t afford to drop anything, especially my pants. I wore this belt for SAR work and this is what really tested it out because I carry a lot of stuff in my pants and on my belt. Between my pocket load, my ESEE sheath knife and my drop-leg pouch with survival gear, I have a good six pounds of stuff (not including pants) that a belt has to hold up. 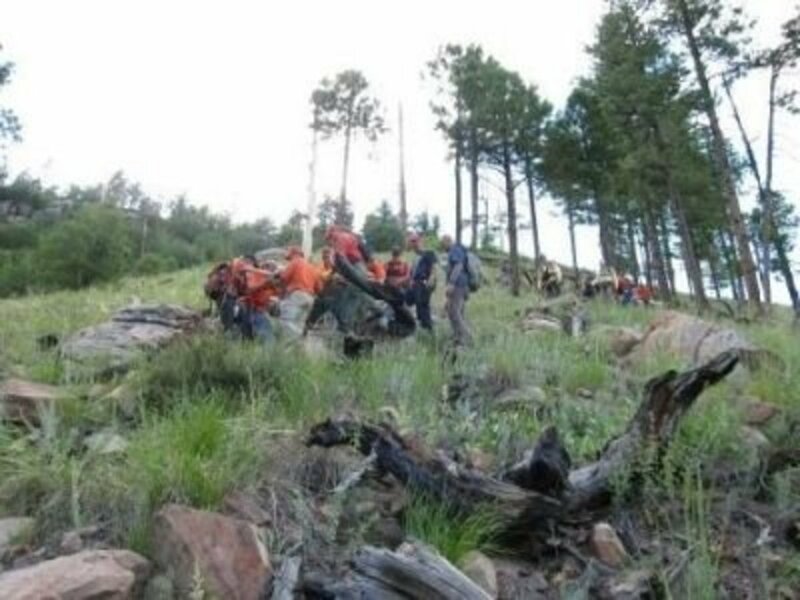 Now I’m not walking on trails either but off trail over rough terrain and usually crawling through thickets at places. My belt has to hold, I can’t afford to drop anything, especially my pants. The last thing I want to do is stumble back to command because my pants slid down and caused me to trip down an embankment. I've worn this belt both on missions and during training sessions over my testing period. From suburban scrambles to thick nasty brush and some pretty gnarly inclines, this belt has seen action in varied environments this spring and summer. Not once have I had to readjust the belt while out for the day and despite the grime, it never acquired a smell that would send search dogs the other way. This belt feels so secure that I've also clipped it into an edge safety line while working the edge of an embankment. Though, like a rigger's belt, this product isn't designed for rappelling, it would most likely stop you from tumbling over the side of a cliff when clipped in. 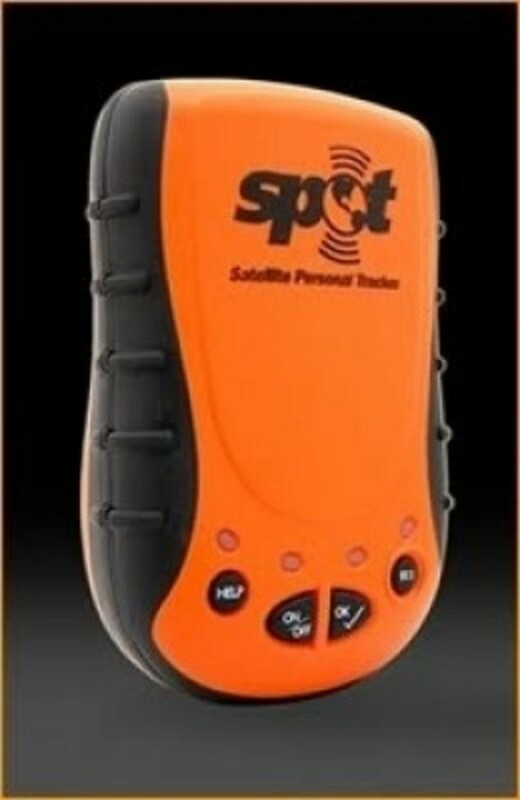 That makes it a great safety device to clip in while you are rummaging through the pack to get the harness on. I wouldn't try it with the stretchy belt that you wear with your skinny jeans though. 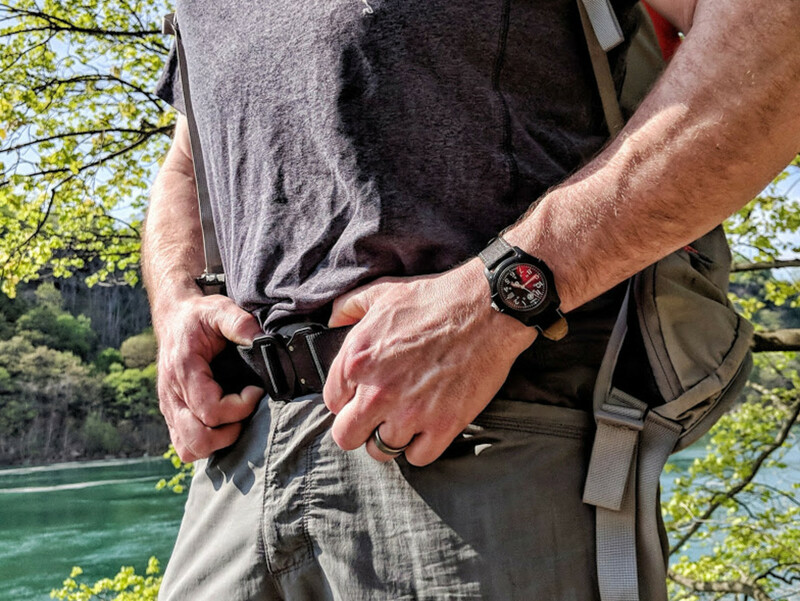 As someone that believes the mantra that "clothing is gear" the 2-ply tactical belt from Klik Belts is a vital piece of my kit for wilderness rescue. 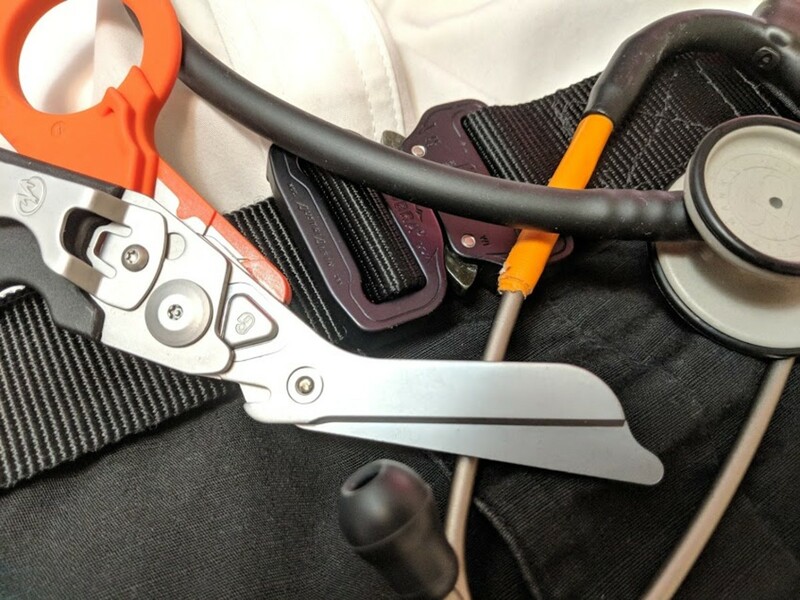 EMT belt with Leatherman raptor shears and stethoscope. Usage as an EMT Belt. 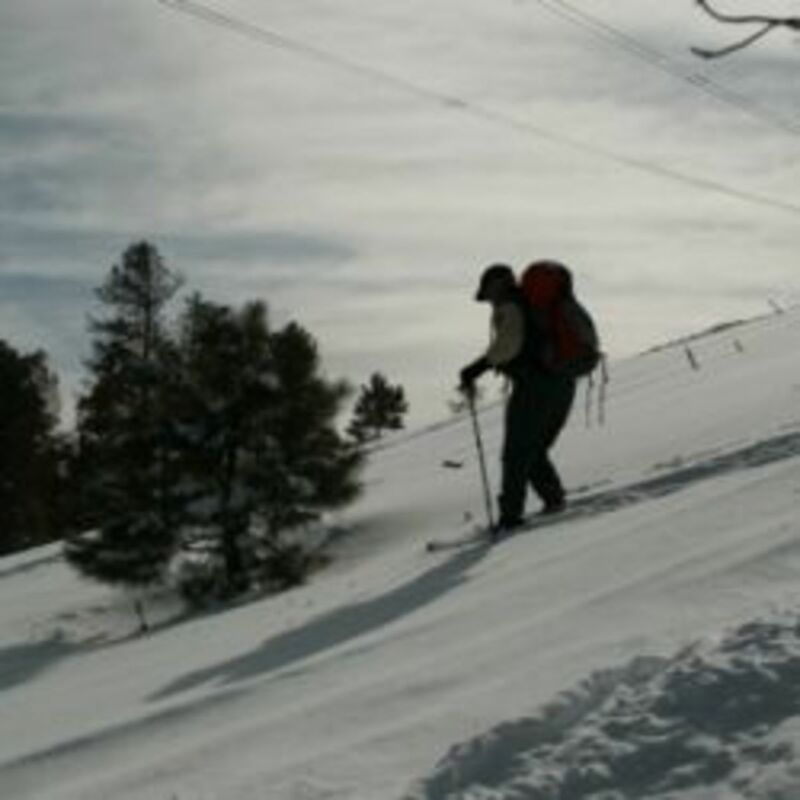 Quite closely related to SAR use was using this belt in EMT training. As I concluded my course I crawled over more people doing patient assessments that I can count and always with pockets full of stuff. 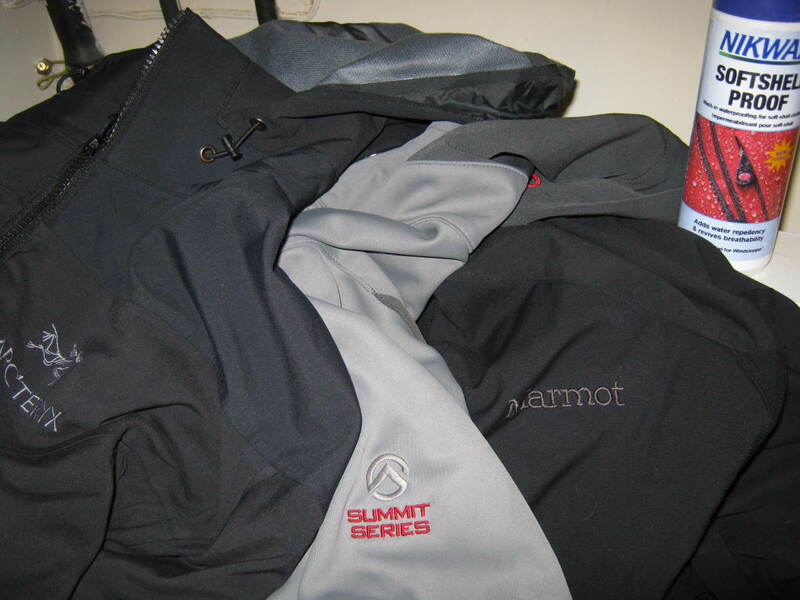 I didn’t have the survival gear of SAR but gloves, lights, stethoscope and blood pressure cuff. This joined me on my clinicals too, hopping in and out of the ambulance and hoisting up patients on stretchers. As I progress further into EMS, this belt will stay with me as part of my uniform. I'll plan on updating this review for an extended use within EMS. 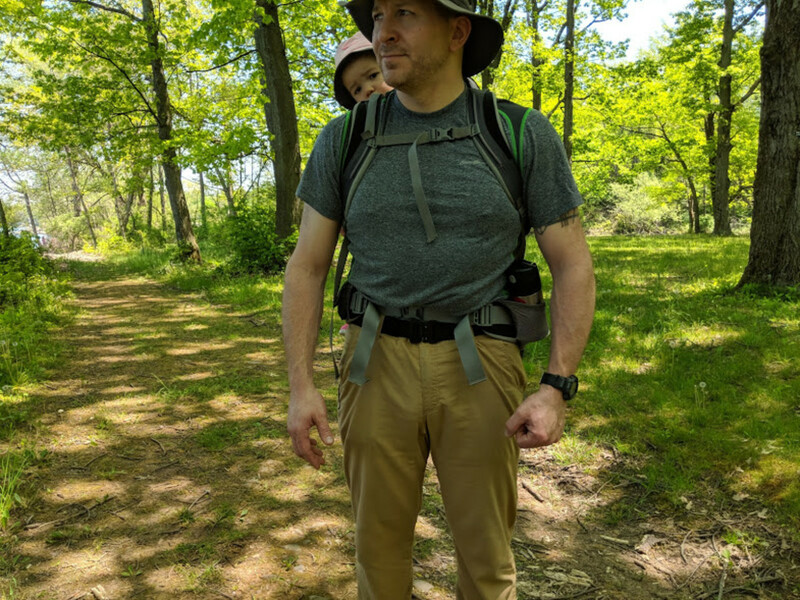 Hiking with the Klik Belt with a toddler on board. Beyond tactical use, I wore this belt every time I went hiking, which is generally four times a week. 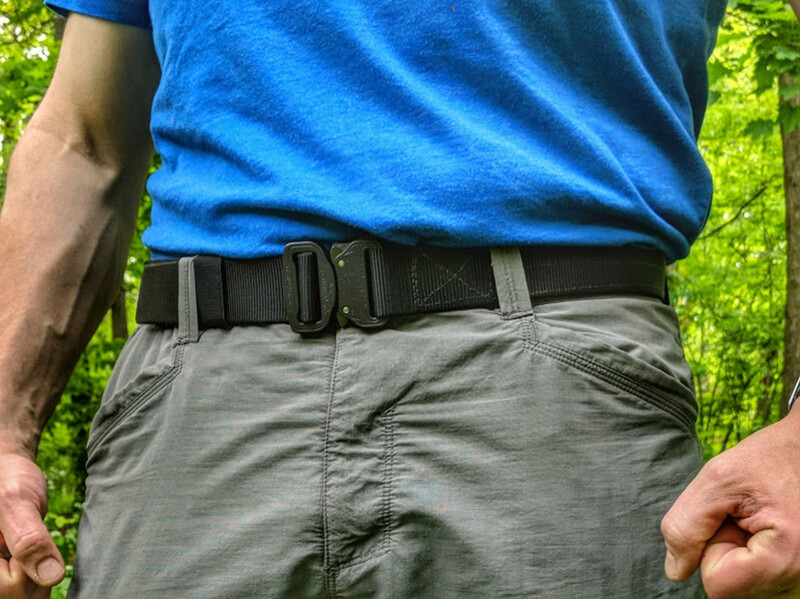 This belt has also accompanied me up Adirondack mountains, ventured on backcountry canoe trips and headed out backpacking on the Finger Lakes Trail. This belt has seen more outdoor miles in a few months than most gear gets over its lifetime. Usually, I take my kids out too and my youngest generally rides in a Kelty child carrier backpack. 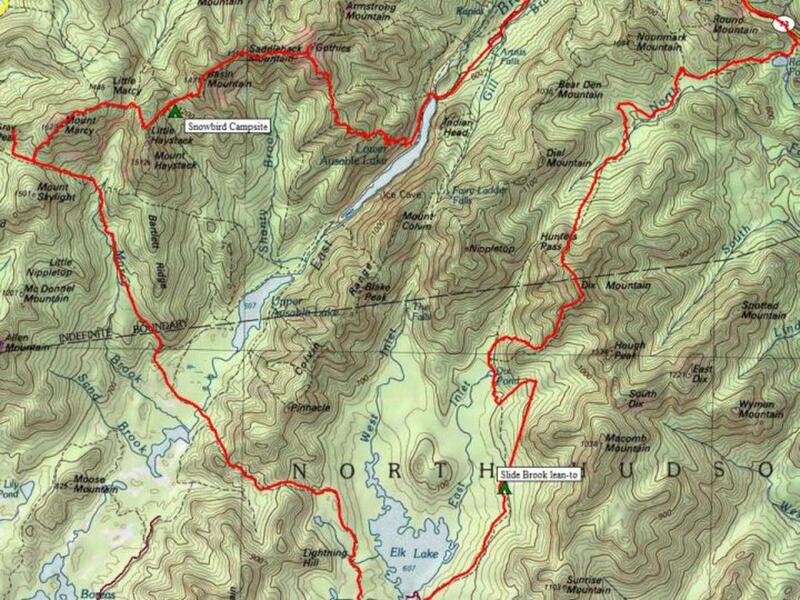 Therefore my pack weight ranges from six pounds to over 45 pounds. On the days I'm toting a toddler on my back with survival gear there is a lot of squirming and pressure pushing down on my illiac crest. I've always found that this kind of pressure loosens the best of belts and you end up with plumber's crack halfway through the hike. Luckily while wearing the Klik Belt, I didn't have to readjust before taking a non embarrassing self portrait for instagram of me looking intensely into the landscape. So what makes it an ultimate outdoor belt? For me, first of all it doesn't slip despite heavy bouncing loads. Second, it does a great job of holding tools and other gear without twisting. 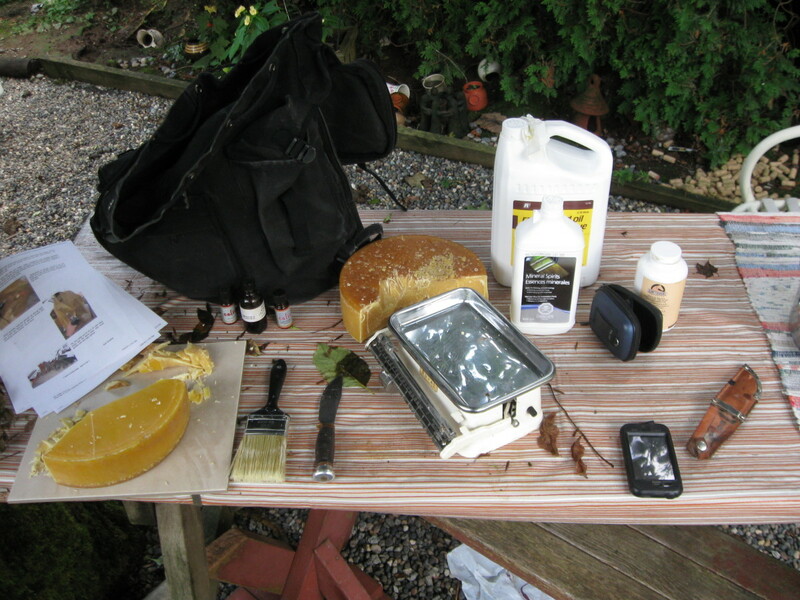 Third, it doesn't absorb nasty stinky odors from working hard outdoors. 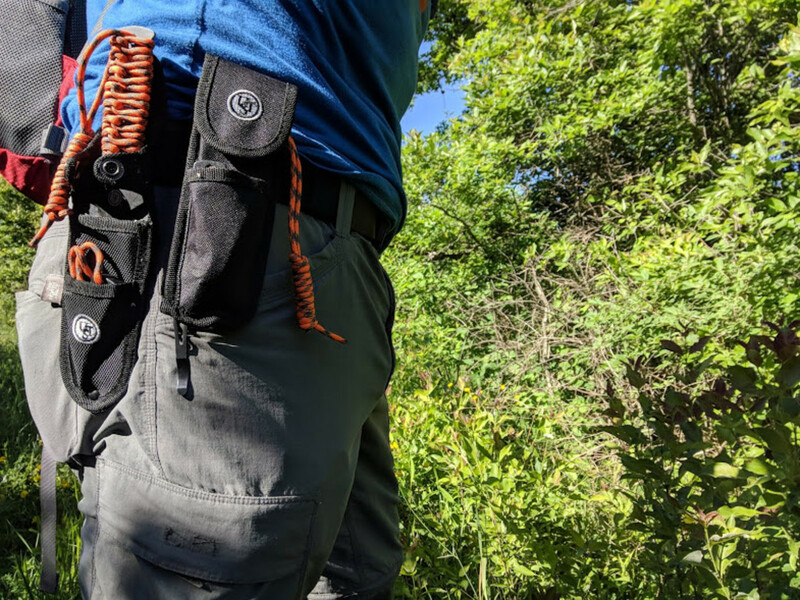 The Klik Belt holds up my gear as I hit the woods for bit of trail maintenance. Though I love the belt, I would be curious to see how a few changes may enhance its performance. As the belt is sized to within a few inches, you have a few inches of tail to manage. Klik Belts does include two tail tamers with the belt that I had no problem with but I wonder if a few inches of velcro on the tail would work better. I think it would give it a cleaner appearance, especially for uniform wear. All in all, in the decades that I've spent wearing belts, the 2-Ply Tactical has been the best one that I've owned. Thanks again Klik Belts for the support!